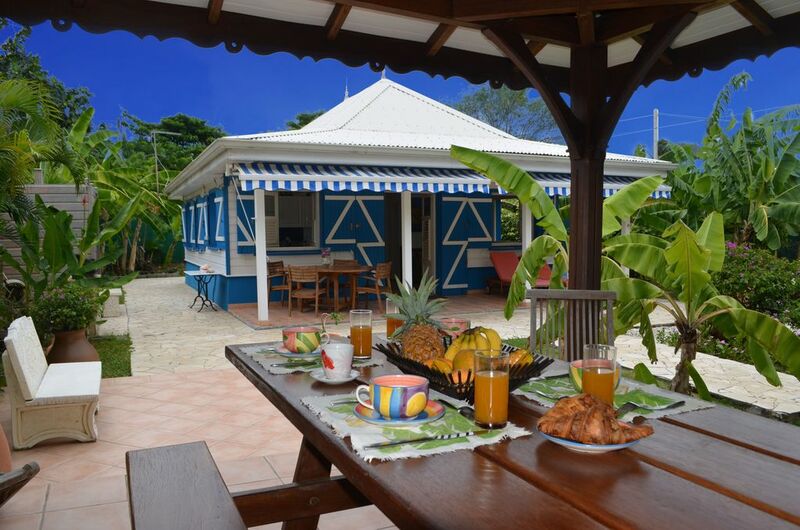 A pretty Creole villa, prettily furnished and decorated, air-conditioned throughout and very well maintained. The property unites the charm of the villas of old with the comforts of today. The inside is furnished with Creole and antique pieces. The open plan kitchen is modern and fully fitted. Outside a gazebo extends the veranda. Here you can enjoy fresh air, sun and the breeze. The villa is near one of the south's most beautiful beaches as well as Marin pleasure harbour (largest nautical base in the Caribbean with lots to offer: sea fishing, glass bottom boat and restaurants). There are lots of other activities available near the villa such as water sports, hiking, horse riding and mountain biking. After these activities you can return with friends and family to the welcoming and peaceful old Creole house, surrounded by trees and flowers. Gazebo, sun-loungers and barbeque are all available for outdoor dining. There is even an outdoor shower. However, there is also a drop-leaf dining table provided if you prefer to eat indoors.